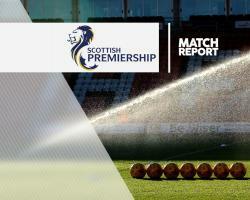 Partick Thistle climbed off the bottom of the Ladbrokes Premiership table after Liam Lindsay's late leveller gave them a deserved 2-2 draw against Kilmarnock at Rugby Park. In a wide open and entertaining match Killie striker Kris Boyd opened the scoring in the 16th minute before Jags' attacker Steven Lawless levelled in the 32nd minute with a fine finish on the turn. In the 65th minute Souleymane Coulibaly headed in a Dean Hawkshaw cross to put the home side in front, but with seven minutes remaining Lindsay dramatically bundled the ball in from close range before Thistle captain Abdul Osman was sent off in the 88th minute after picking up two yellow cards. Thistle moved on to four points and above Inverness on goal difference, with the Highlanders playing Celtic on Sunday. Despite being without a win in three matches, Killie boss Lee Clark kept the same starting line-up from last week's 1-1 draw at Dundee. Ryan Scully started in goals for the Maryhill men, taking over from Tomas Cerny whose foot problem flared up again last week. Thistle's positive start, however, meant Scully had nothing to do until the 10th minute when he made a fine save from Coulibaly's spectacular overhead kick - he scored with a similar effort at Dundee last week - at the expense of a corner. It was the first of several forced by the Ayrshire men as the game instantly swung in their favour. Boyd's goal was scrappy, coming when he got the break of the ball inside a crowded Thistle box before quickly knocking it past Scully. Back came the Jags, inspired by Chris Erskine, and Killie keeper Jamie MacDonald saved Kris Doolan's close-range drive with his foot but the equaliser had simply been delayed and came after Martin Smith replaced injured Kilmarnock captain Steven Smith with Luke Hendrie going to left-back. David Amoo got past Hendrie with ease to cross for Lawless, although the Firhill striker still had it all to do to twist past Killie defender Scott Boyd and squeeze his shot past MacDonald and in at the far post. It was no more than Thistle deserved but moments later Scully had to deny Coulibaly again with another good save from a drive. MacDonald parried Callum Booth's angled drive just after the break before veteran forward Nathan Tyson came on to make his Killie debut at the expense of Adam Frizzell. The Ayrshire side took control and Scully denied Coulibaly for the third time, this time from a 25-yard free-kick. In the 63rd minute Lawless appeared to be caught by Tyson inside the box as he set himself to shoot from Erskine's pass but referee Andrew Dallas ignored penalty claims. That decision appeared to even more pivotal when, moments later Coulibaly leapt above Thistle defender Ziggy Gordon to head past Scully from six yards out. It was pin-ball football thereafter and Thistle drew level when Erskine's free-kick from the right ended up at the back post with stopper Lindsay happy to knock the ball in from almost on the line and there was time for the over enthusiastic Osman, booked earlier for a foul on Rory McKenzie, to be sent off for another infringement on the same player.